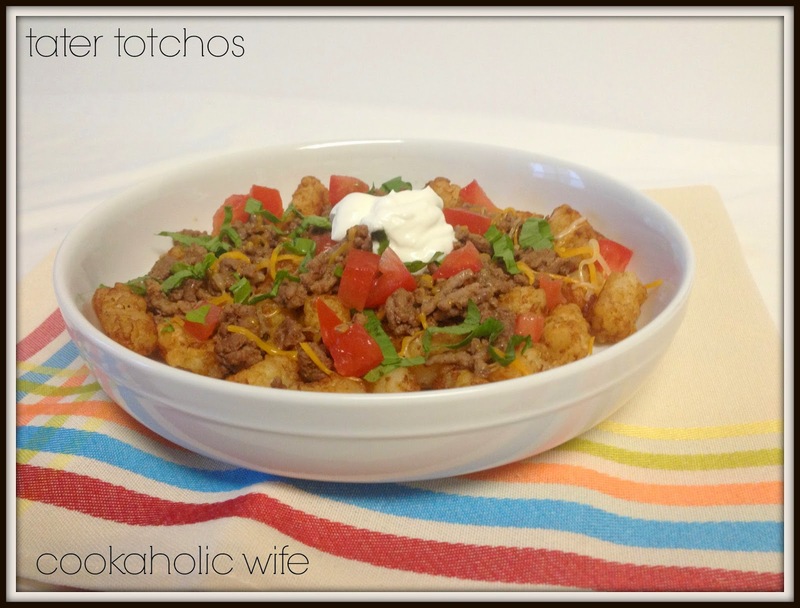 I first heard about tot-chos on one of the message boards where I spend a decent chunk of time. Then I saw this recipe in the April/May 2014 edition of Taste of Home magazine and took it as a sign that I needed to make these right away. I knew it was something Tom would definitely like because how can you really go wrong with ground beef and tater tots? I specifically made this recipe the week before starting the Whole30 just because I knew I couldn’t wait an additional 30 days to make it. 1. Bake the tater tots according to package directions. 2. Heat a skillet over medium high heat. Add the ground beef and cook and crumble, until beef is no longer pink. Drain grease. 3. Sprinkle the taco seasoning over the meat and stir to combine. Add the water and cook until water is gone, 2-3 minutes. 4. 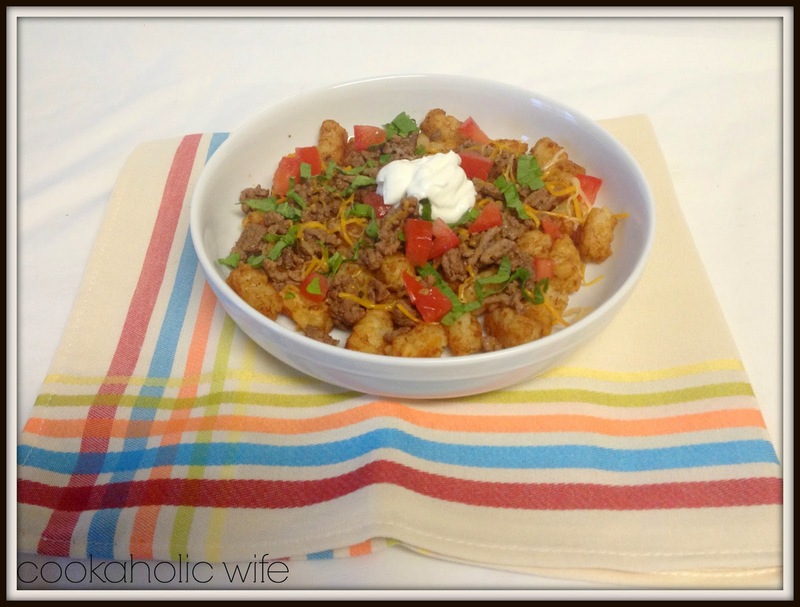 Divide tater tots among dishes. Top with seasoned ground beef and then sprinkle with cheese. Sprinkle shredded lettuce and diced tomatoes on top. Top with a dollop of sour cream and hot sauce. Yeah, these were every bit of tasty as I expected them to be!